Whose ready for winter to be over? To me, whenever I think of cold weather, I think soup. And cold + soup = comfort. Isn’t a cup of nice, warm soup the best thing to have a on cold wintery day? This easy-to make, naturally gluten-free (+ vegan) Butternut Squash, Sweet Potato and Carrot Soup is so incredibly cozy and delicious! Place chopped veggies on baking sheets and drizzle with avocado oil. Make sure your veggies are not too crowded! Cabbage rolls can be a lot of work, but now you can get all of the flavour of an authentic Hungarian meal without all the fuss! 1 cup wine sauerkraut – fully rinse underwater to tame the flavour! Cover and cook high pressure 15 minutes. 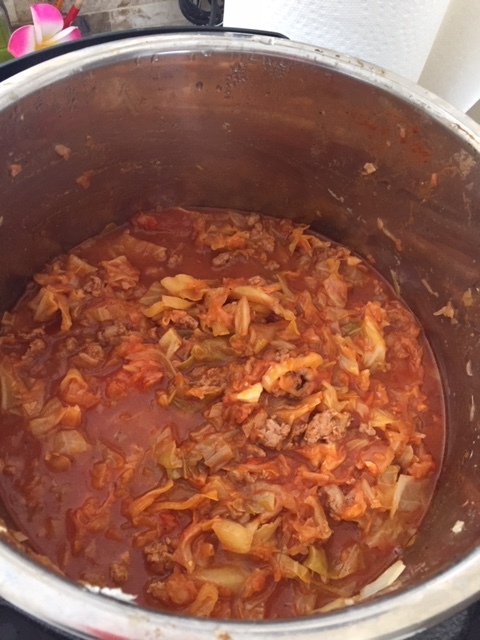 Quick release, add the rice (if desired), cabbage and sauerkraut and cook 5 minutes high pressure. 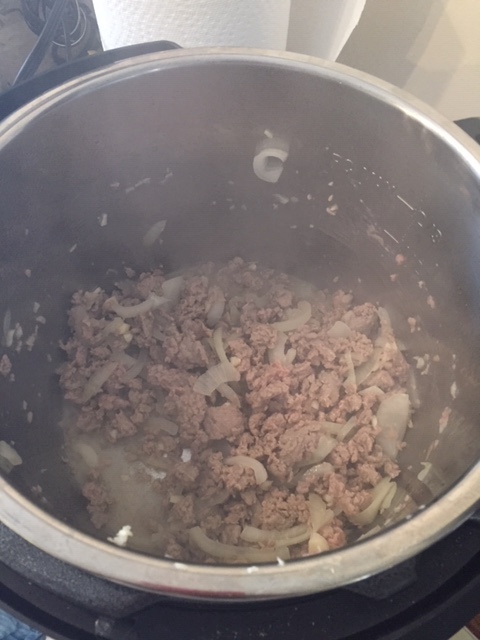 *add a dollop of sour cream for real authentic flavor! Brown meat, about 5 minutes. Add the onion, garlic and paprika stir. Cover and cook medium-low 25 minutes. 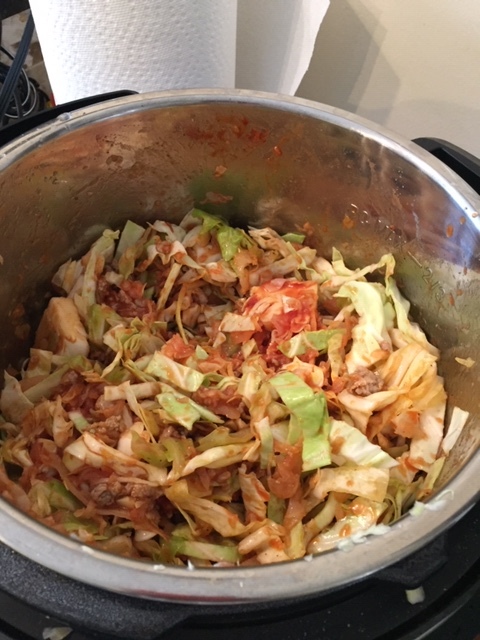 Add the cooked rice, cabbage and sauerkraut, cook approx. 15 minutes, or until the cabbage is tender. Cook on BBQ until well done! Drizzle on top of chicken and Enjoy! If you’ve been searching for a simple and delicious treat, look no further than these Paleo Chocolate Chip Cookies. These cookies are one of my favourite recipes on the site. They have it all: a thick and chewy texture paired with warm dark chocolate chips. Consider it love at first bite. Another great perk of this sweet is they are naturally gluten free and paleo. You can also tailor them to your liking. Instead of almond butter, use your favorite nut butter like peanut butter or soy nut butter. You can also add in coconut, dried fruit or oat on top; the possibilities are endless! If you’re not into complicated recipes, or your schedule doesn’t allow it, then this Edamame Salad is a quick and easy solution. In a large mixing bowl combine all ingredients and mix until combined. Who doesn’t love eggs? This recipe is a hearty hash with eggs that will give you protein punch at any time of day. Whole eggs are cracked over the hash and baked in a skillet for a complete one pan meal. And don’t get me started on the health benefits. If you are an athlete of any kind (and I mean running, walking, swimming, kickboxing…you name it), you need some healthy carbs to fuel your workouts. Sweet potatoes are a smart carbohydrate choice that also contain manganese, which aids in the metabolism of carbohydrates and can help level out blood sugar levels.